In a letter sent Monday, Governor Bob McDonnell (R-VA) petitioned the U.S. Environmental Protection Agency (EPA) to grant a waiver from the ethanol quotas mandated by the federal Renewable Fuels Standard (RFS). In a show of support for the Virginia governor, the National Chicken Council, National Turkey Federation and the Virginia Poultry Federation offered their praise for McDonnell’s petition. “We appreciate that Governor McDonnell took time to thoroughly and thoughtfully analyze the circumstances and determine that waiving the federal ethanol mandate is necessary to mitigate severe economic harm to Virginia’s livestock and poultry producers,” said Virginia Poultry Federation President Hobey Bauhan. The RFS mandates that all U.S. transportation fuel contain ethanol, effectively diverting more than 40 percent of U.S.-grown corn to fuel. In 2011, more corn went into gas than into feeding animals raised for food for the first time in history. “The direct harm is caused by the RFS requirement to utilize ever-increasing amounts of corn and soybeans for transportation fuel, severely increasing the costs of producing food, and further depleting already severely stressed grain supplies,” said Governor McDonnell. “Altogether, economic harm is being experienced by Virginia’s livestock and poultry production regions and important economic sectors in the state as a direct result of the implementation of the applicable volume requirements of the RFS. This harm could be alleviated by a full wavier of the RFS in 2012 and 2013,” he continued. 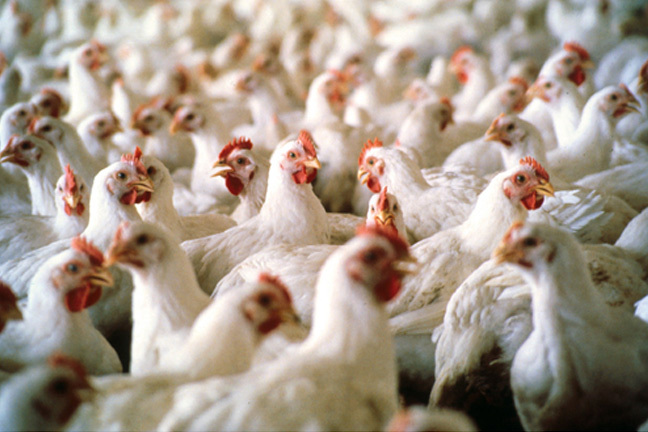 Poultry is essential to the economy of Virginia. Chickens are Virginia's No. 1 farm commodity and the state is the fifth-largest producer of turkeys in the nation. According to McDonnell, agriculture generates more than $55 billion per annum and 357,000 jobs for the commonwealth. Governor McDonnell now joins twelve bipartisan members of the Virginia congressional delegation in calling for an RFS waiver, including: U.S. Senators Jim Webb (D) and Mark Warner (D), and Representatives Rob Wittman (R-1); Scott Rigell (R-2); Bobby Scott (D-3); Randy Forbes (R-4); Robert Hurt (R-5); Bob Goodlatte (R-6); Jim Moran (D-8); Morgan Griffith (R-9); Frank Wolf (R- 10), and Gerald Connolly (D-11). The chorus of cries for the waiver comes after the August 10 World Agricultural Supply and Demand Estimates (WASDE) report. In the report, the USDA drastically reduced its 2012-13 corn crop estimate to 10.8 billion bushels with a yield of 123.4 bushels per acre. This estimate predicts 22 fewer bushels per acre, and 533 million bushels less than the previous estimate. This means the reserve corn supply will be the smallest carry-over since the 1995-96 crop year. USDA predicts prices of $7.50 to $8.90 per bushel at the farm level, which is more than 40 percent higher than the previous crop year. Virginia is the eighth state to file a petition from the waiver behind Texas, Georgia, New Mexico, Arkansas, North Carolina, Maryland and Delaware. Other requests to waive the RFS include calls to action from 156 U.S. House members, 34 U.S Senators, poultry and livestock producers and the United Nations.